Hi Linda is this painting for sale or have you any others of “denman the tank ” espcially of his gold cup victory. Hi Kevin. 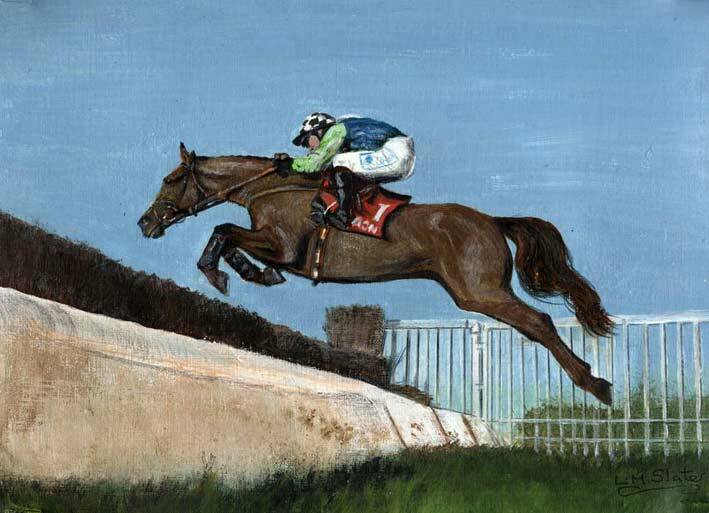 I have done 6 paintings of just Denman one of which was the 2008 gold cup. All my paintings are for sale apart from the signed ones which are very special to me. The gold cup one has been signed by Paul Nicholls but I can do a print for you. The above painting is 12″ x 9″ on board.